Do you have a foundation leak in your Orange County home? Call us today at (949) 371-8413 for more information on the options available to fix your leak right the first time. It is critical to address slab leaks immediately because of the potential water damage that may be done, putting the safety of your home’s foundation at risk. 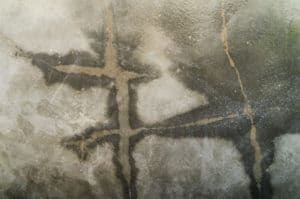 If our Orange County foundation leak repair specialists have a direct access point to fix the leak, it is possible to cut into the concrete and make the repair. Orange County residents have trusted us over and over again to get their plumbing system back up and running fast. If you are in need of a slab leak repair, call us at (949) 371-8413 to schedule an appointment.